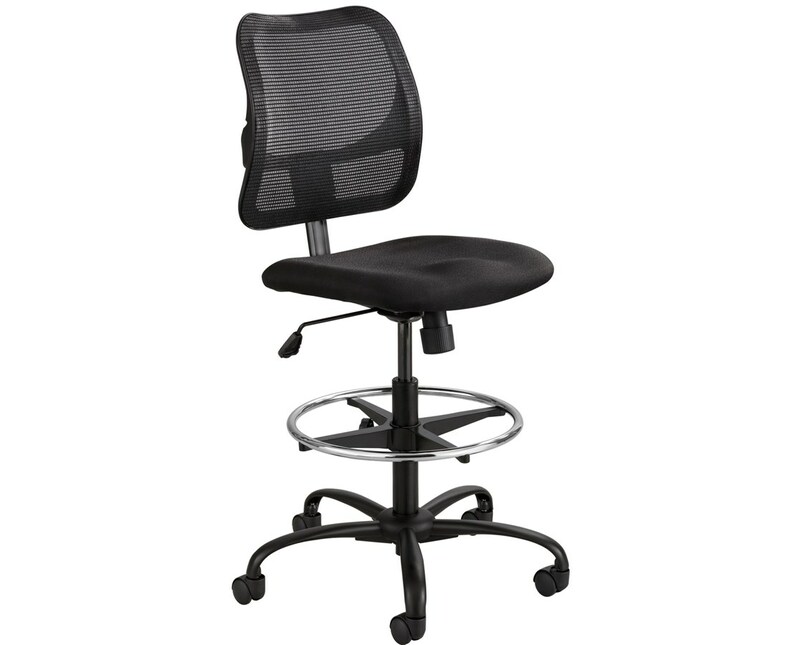 Extendable seat height of 23" to 33"
The Safco Vue Extended-Height Drafting Chair is a stylishly sleek and modern-looking chair that provides maximum comfort and is tough enough to hold up to 250 pounds of weight. It features a breathable mesh backrest and a contoured foam seat cushion that conforms to the body. 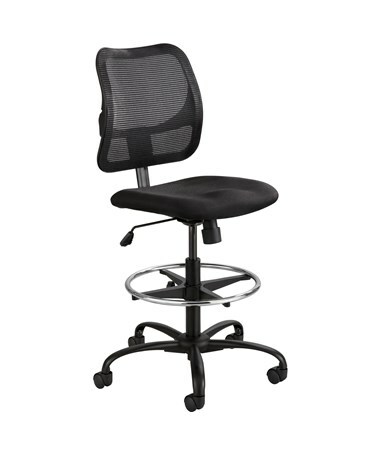 The ergonomic seat has an adjustable height of 23 to 33 inches. This chair tilts, swivels, and its height has an adjustable range of up to 10 inches. It also includes an adjustable footrest to provide leg comfort and prevent fatigue. The 25-inch five-star base has dual wheel hooded carpet casters for smooth mobility on any surface. This drafting chair is made of nylon with a steel base. The seat is upholstered with 100 percent polyester, while the back is nylon mesh. It meets the ANSI/BIFMA safety standards and is easy to assemble with little effort needed. 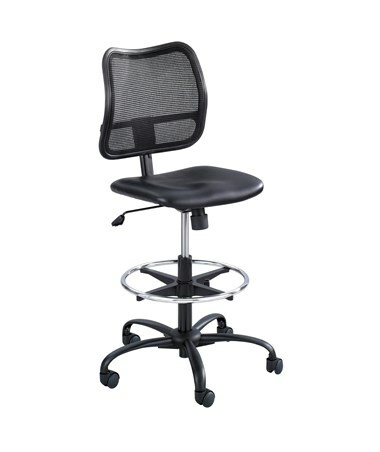 The Safco Vue Extended-Height Drafting Chair is available in two different seat upholsteries. Please select your preference from the drop-down menu above. Height 39 ½" to 49 ½"